Al Noor commercial center is located in the center of the city of Jeddah near Madina Road descending from Palestine Street, which is one of the most important streets in the center of city of Jeddah, where this region has all the facilities of commercial banks, hotels and major companies. 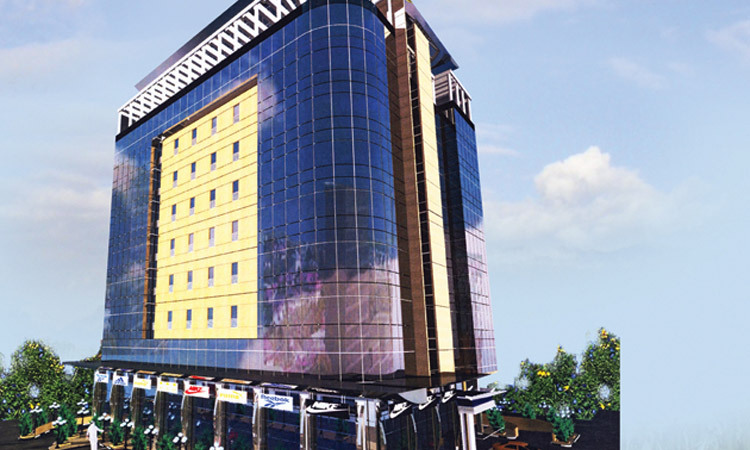 The Al Noor Centre consists of the mezzanine and nine upper floors, office floors and penthouse offices. Al Noor Center has a modern design with an innovative form of the outside of the building, coated glass, giving special and attractive addition to provide all the technical services and expertise in the building. Consists of eight showrooms of various sizes composed of two floors in ground floor and mezzanine area of each gallery ranging between 62 m2 to 75 m2. 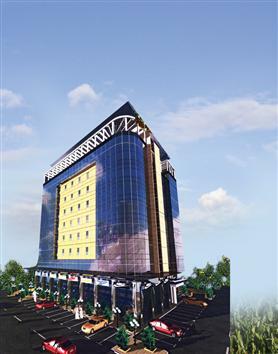 East side overlooking the Madina Road, in addition to the availability of car parking front and rear. Consists of nine office floors common upper area of each floor 1.041 m2 which can be partitioned to 6 offices of various sizes. Two floors of the building has pentoffices with 740 m2 for each.